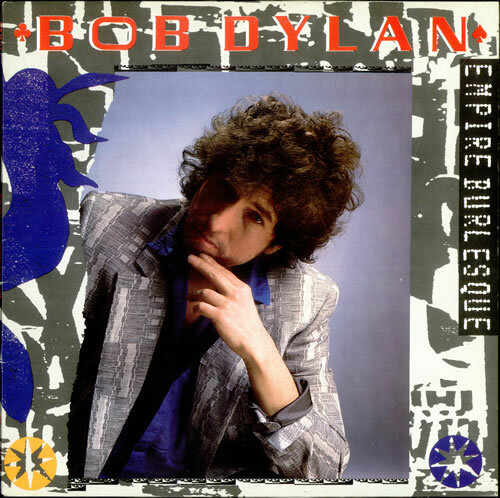 The most often voiced complaint against Bob Dylan’s 1985 album, Empire Burlesque is the over produced synth sound , the “horns” and that characteristic 80s drum sound. A lot of us have wondered how it sounded before they ran it through the 80s “hit-maker” mixer? Therefore it’s one of those albums that’s been bootlegged extensively, there are many “releases”. Clean Cuts was the first, but it had the wrong tempo. Then came Outside the Empire, Tempest Storm , Tempest Storm ( yes there were two releases with the same name), Real Cuts at last, Empire Burlesque Originals & Outtakes, Empire Burlesque Sessions and The Naked Empire. These are the ones I know of, there might be more. Some of the songs are on a lot of bootleg compilations as well. I like The Naked Empire best, it doesn’t have most songs, but the sound is great (best I’ve heard on these alternative takes and outtakes) and it has the best songs (in the correct tempo). Seek it out. …and it has a very fine version of New Danville Girl (the song that became Brownsville Girl). To hear the songs in a more stripped down form is a revelation and we see more clearly how good the songs really are (and that one outtake, New Danville Girl, My God!). The 80s sound seep through on some of the songs, even on these early versions, but it is not as annoying and as prominent. Some of the songs started in the Infidels sessions but ended up on Empire Burlesque. There are also 5 unreleased tracks on this bootleg. If you cannot find it, your second best option is The Real Cuts at Last. “I’ll Remember You” from the movie is simply gorgeous; wish it was on an album somewhere. I loved Empire Burlesque when it came out and still do. That said, I heard a live version of “Trust Yourself” a bit later, bass-heavy and almost angry, that just killed. I’ll never give up: wouldn’t it be nice to download that stuff? ‘ Empire Burlesque ‘ is a great album. This is another another side of BD. The album is far more inventive than people assume both in the lyrics especially his use of song structures,rhymes and phrases and the wonderful arrangements…I believe the overall sound is what Dylan had in mind and it is daring and provocative ( a million miles from the plodding releases he chose for the ‘ Infidels ‘ album although that record could have been a masterpiece ). The sound is a vast improvement on the awful sound, including that damn drum ,of ‘Infidels’, including the devastating use of the second vocal and the brilliant use of the female backing singers with the great Queen Esther Marrow. The killer version of ‘ When the Night…’which leaves the tentative Bootleg Series outtake for dead, the wonderful simplicity of one of his greatest songs ‘ Never Gonna Be The Same Again’ with its chiming beauty, the remarkable directness and cocksure hellfire of ‘ Something, is Burning Baby. Just listen to the two old songs ( Someone’s Gotta Hold of My Heart ‘ and ‘ Clean Cut Kid ‘) and how he transforms them into powerful and playful songs full of musical wit. Big Tip…throw the lyrics away as they are a distraction ( and are not intended to be read! ) 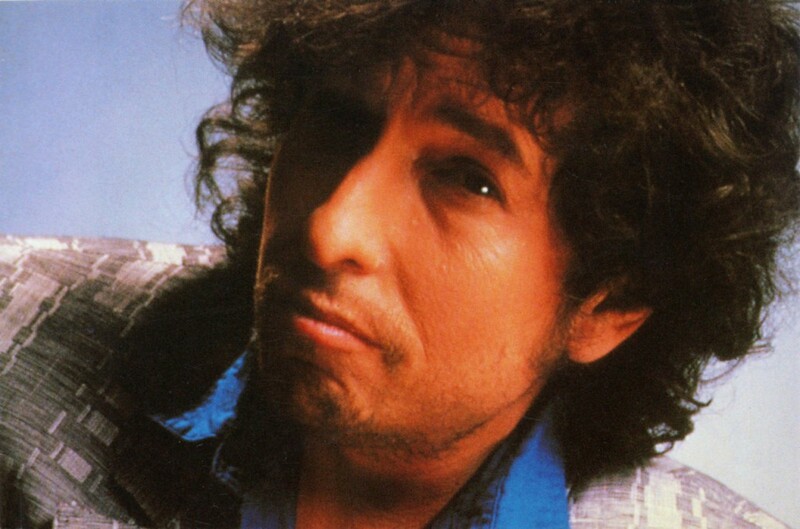 and you will actually miss some of the disguised rhymes that only Dylan can achieve with his unique phrasing and singing. This album gets better as the years go by.